This kitchen style is crisp, with strong straight lines or beautiful curves. These kitchens come in a variety of colours to suit any taste. Simple contemporary handles combine with bold colour combinations to create a kitchens that wow! Multi level surfaces can also be added to accentuate that high end feel, creating a kitchen that is not only amazing aesthetically – but also very practical with clever drawer and storage options and easy to clean cabinets. 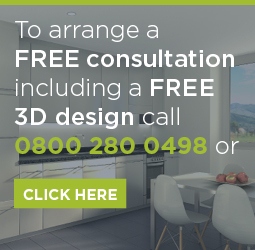 Take a look at our most popular Contemporary Kitchen ranges below – if there is a particular range you are looking for please contact us and we will aim to accommodate your kitchen needs.